Taal Volcano Island and Taal Lake seen from |Barrio Subic in Agoncillo, Batangas. Image source: The Chronicle Magazine, 1962. 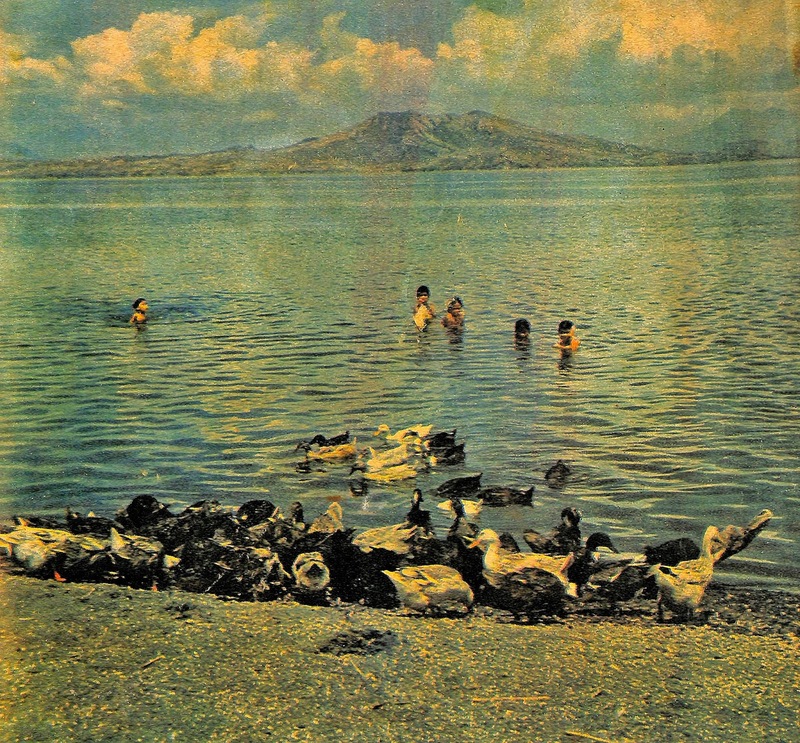 In the inside cover of the magazine, the photograph has been captioned as: “The ducks and children enjoying sun and lake water in our cover picture was photographed at the barrio of Subic, municipality of Agoncillo. Agoncillo is a newly created town2 on the shores of Lake Taal. To improve the quality of the scan, the converted .jpeg file above has been processed using graphics editing software. 1 “The Chronicle Magazine, Volume XVII, Number 16,” published 21 April 1962, online at the Basilio J. Valdez Digital Collection, Internet Archive. 2 The Municipality of Agoncillo formally separated from Lemery in 1949. “Agoncillo, Batangas,” Wikipedia.